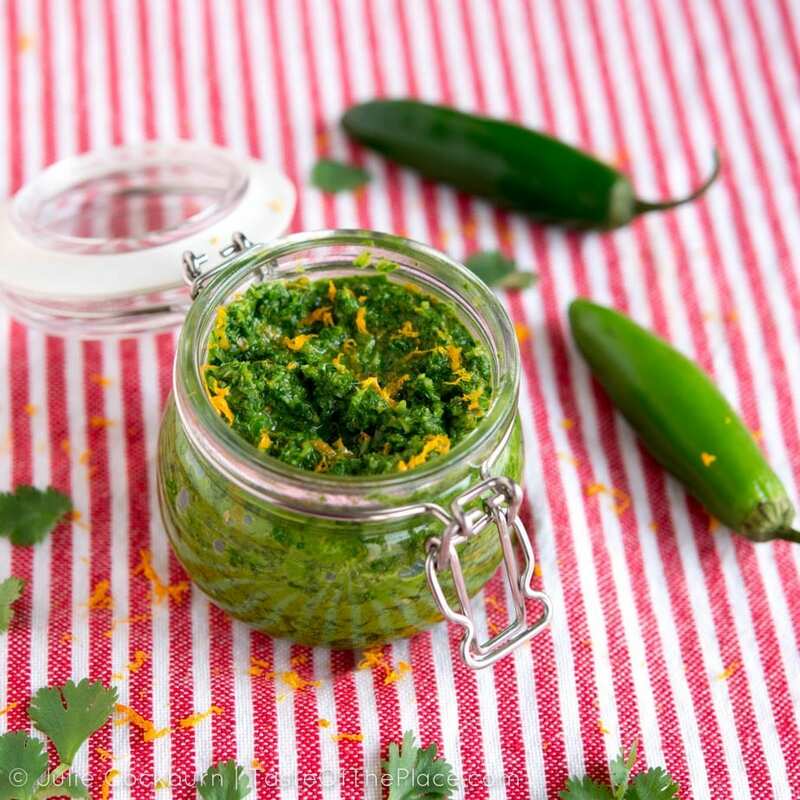 Zhoug, a vibrant green cilantro based sauce from Yemen, is both fresh and fiery. 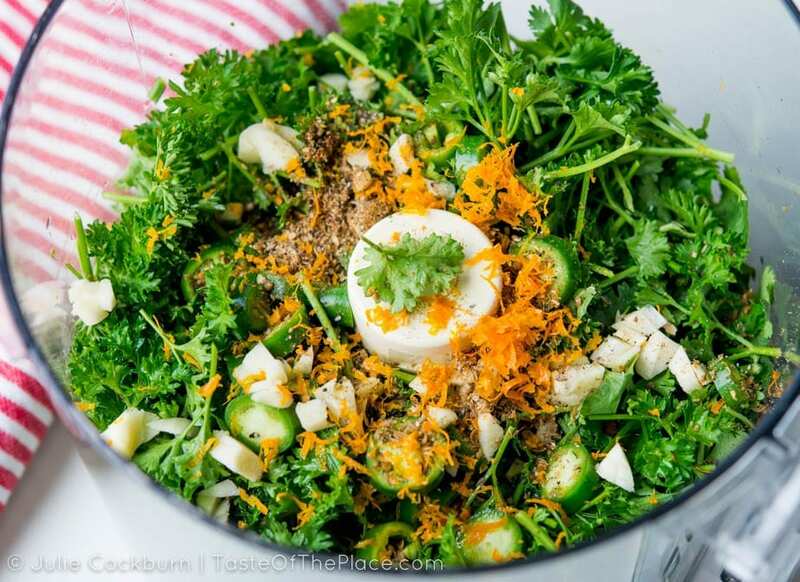 It’s layered with flavor, from earthy cumin, to aromatic coriander, to bright orange zest. Put a dollop on eggs, spread a bit on a sandwich, or use it as a dip, and enjoy the zingy and aromatic flavors of the Middle East! In a hurry? Click here to jump to the recipe. Ok, so, before we discuss this most delicious Yemini sauce, we’ve got to chat a bit about condiments in general. Few things go better with a homemade meal, than fresh, homemade condiments. Really, truly! From mayo to mustard to salsa to salad dressing to the more exotic, like Harissa or this fiery zhoug, freshly made is like nothing you could buy in the store – the flavors are divine, there are no weird additives, and homemade almost always costs a fraction of grocery or specialty store prices. Unfortunately, most people never experience this particular joy. I know, I know – it’s time consuming to whisk up fresh mayo, or whiz together a chunky salsa in the food processor. And I know it’s simply not practical to make these tasty additions from scratch all the time, every time. But at least from time to time, it really is worth the effort. If you haven’t given making your own condiments from scratch a go, why not start with this one? That is, if you are a spicy-hot kind of fan, like me! 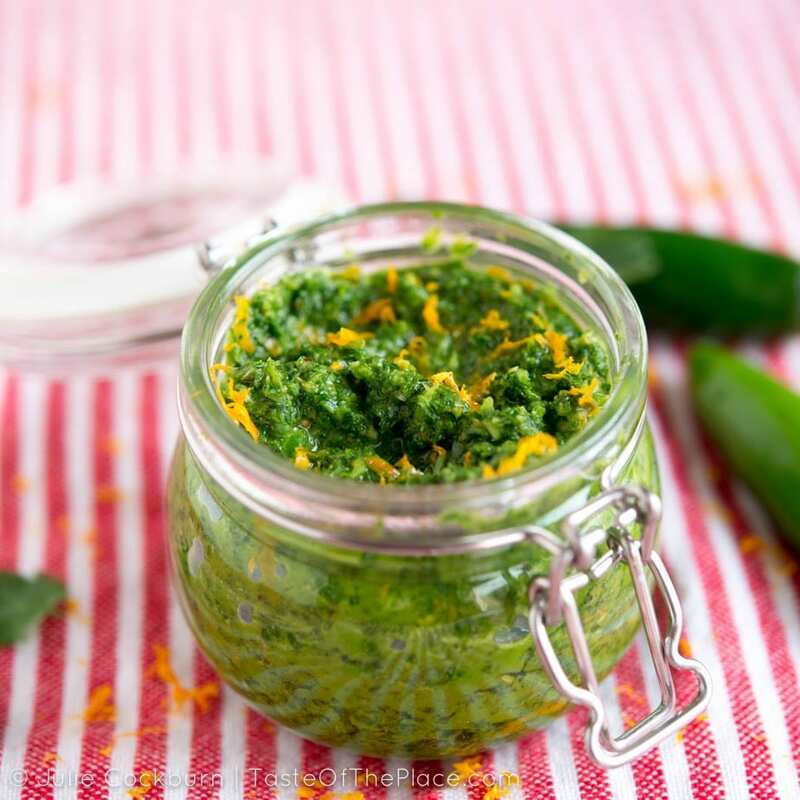 Its fresh and fiery flavors will zing up just about anything savory, and its vibrant green color will make even the most monotone dish look exciting and inviting. AND, if you are interested in trying out other homemade condiments, like sauces, spreads, dips, and dollops from around the world – let me know in the comments below. I love researching these type of tasty and classic world recipes, and sharing the deliciousness with you! Zhoug is thought to originally come from Yemen, but it has become especially popular in Israel. It’s served alongside falafel, shawarma, shakshuka, and probably a host of other tasty goodies. The story goes that zhoug was brought to Israel by Yemenite Jews in the 1950s, when thousands of Yemenites were airlifted into Israel due to political persecution. There are lots of ways to spell zhoug – zhug, skhug, skoug, schug, and I’m sure many more – and probably hundreds of different ways to make it. Cilantro (or fresh coriander), parsley, and hot peppers are a must in pretty much any zhoug recipe. The ratio I found most folks calling for is 2 parts cilantro, to 1 part parsley, to as much hot pepper as your little heart desires. While I love hot pepper heat, I wanted to taste the herbs and spices in my zhoug, so I opted for 2 serrano peppers, to 1 bunch cilantro, to about 1/2 a bunch of parsley. In my research, I came across several version of zhoug that called for orange zest. This sounded absolutely delicious to me! Fiery hot, with a hint of citrus? Yumm! If citrus isn’t your thing, just leave it out. I also discovered lots of different spice combinations. Cumin seemed to be pretty much a given, so I was sure to add that. I also saw both coriander and cardamom making frequent appearances – since these are two of my favorite spices, I invited them to appear in my recipe, as well. Bringing the zhoug together is easiest in a food processor or blender, but can certainly be done by hand. A sharp knife and a little patience will yield a chunky sauce, as will a heavy-duty mortar and pestle. If you use a food processor or blender, try to use a light hand. 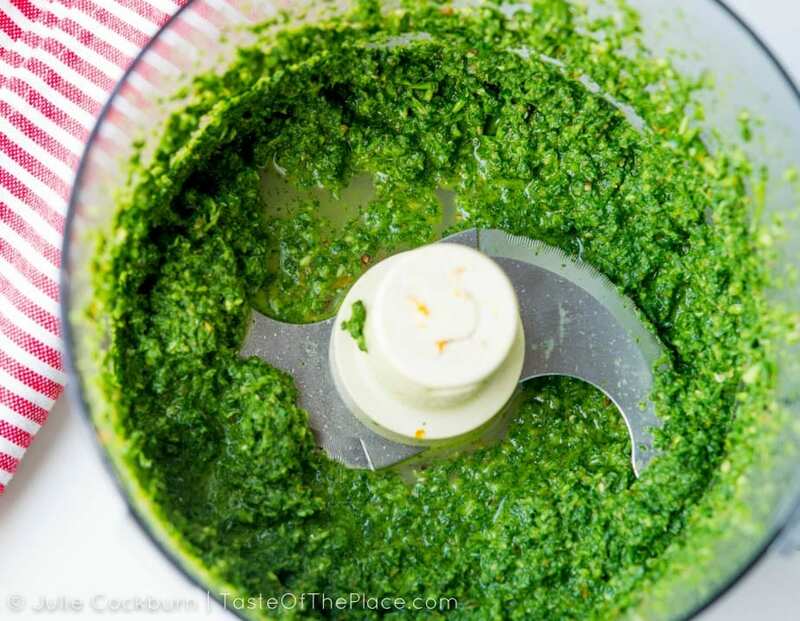 You want a thick, slightly chunky paste, like pesto, rather than a perfectly smooth and runny sauce. Deliciousness waiting to be magically transformed into zhoug! And like that, it’s ready! 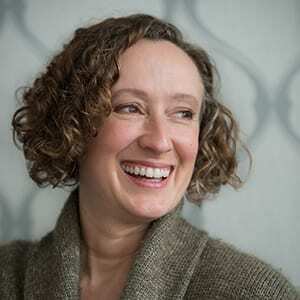 What NOT to do with zhoug should be the question! Use it anywhere that you would use salsa, harissa, or hot sauce. Put it on eggs, spread it on a sandwich (I am imagining a grilled cheese with sharp white cheddar, caramelized onions, a handful of arugula, and a smear of zhoug. Swooning! ), swirl it into hummus, stir it into soup, dollop it on veggies. The possibilities are endless! I think it would make a delicious dip to go with my recipe for bolani, a stuffed flatbread from Afghanistan. Or for an absolutely classic combination, add a dollop to my recipe for shakshuka HERE, an egg and tomato dish popular in Israel. 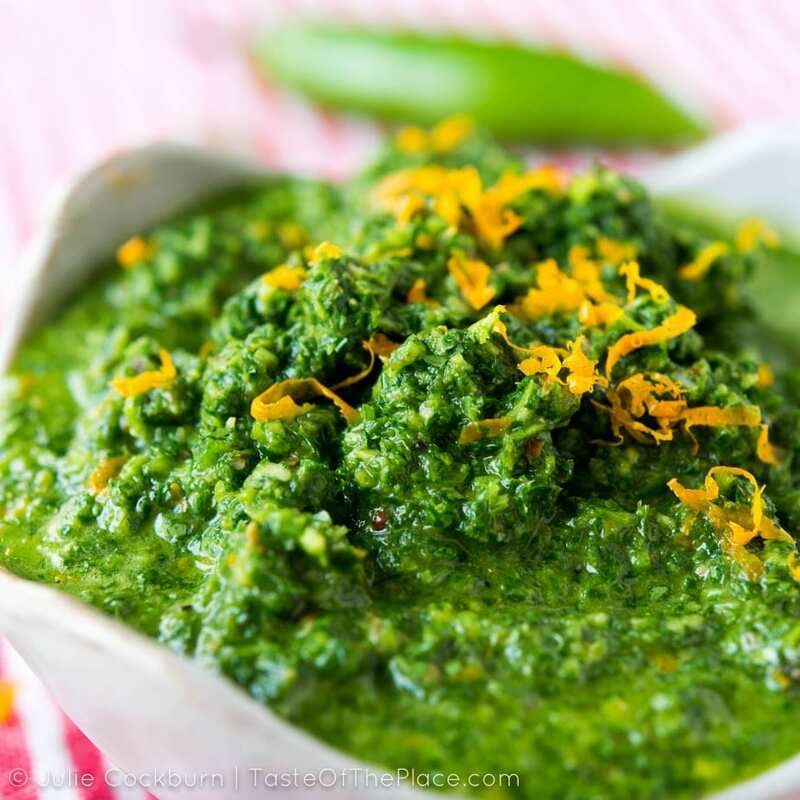 Zhoug, a vibrant green cilantro based sauce from Yemen, is both fresh and fiery. It's layered with flavor, from earthy cumin, to aromatic coriander, to bright orange zest. Put a dollop on eggs, spread a bit on a sandwich, or use it as a dip, and enjoy the zingy and aromatic flavors of the Middle East! Place everything except the water in a food processor or blender. Pulse several times until everything is well combined with a texture similar to pesto - a slightly chunky paste. Alternately, make your zhoug by chopping everything very finely with a knife, or by bashing everything together in a mortar and pestle. Add a splash of water if you want to thin the texture a bit. Give it a taste, and add additional salt if desired. Zhoug will keep well in the refrigerator for several days. For the best flavor, use fresh, whole spices, and grind them just before use. You can grind fresh spices in a coffee grinder or with a mortar and pestle. I personally rarely buy pre-ground spices, as the flavor is soooo much better when you grind them to order. Give it a try - you'll be amazed at how much more flavor you can get from your spices! Click the links below to purchase. These are affiliate links, meaning if you click on a link then make a purchase, I may earn a commission at no extra cost to you. Thanks so much in advance for the support! Let me know! I would love to see it! 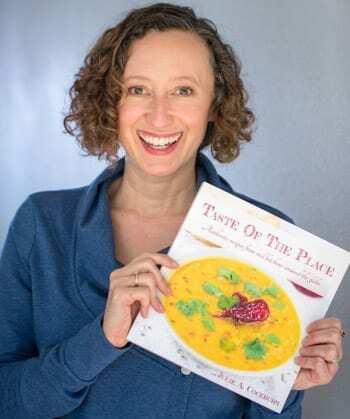 Tag me @TasteOfThePlace on Instagram and Facebook.